The George H. W. Bush Volunteer Generation Fund is a grant program funded by the Corporation for National and Community Service (CNCS). The Volunteer Generation Fund was established by the Edward M. Kennedy Serve America Act in 2009, expanding the role of the Corporation for National and Community Service in strengthening the nation’s volunteer infrastructure. 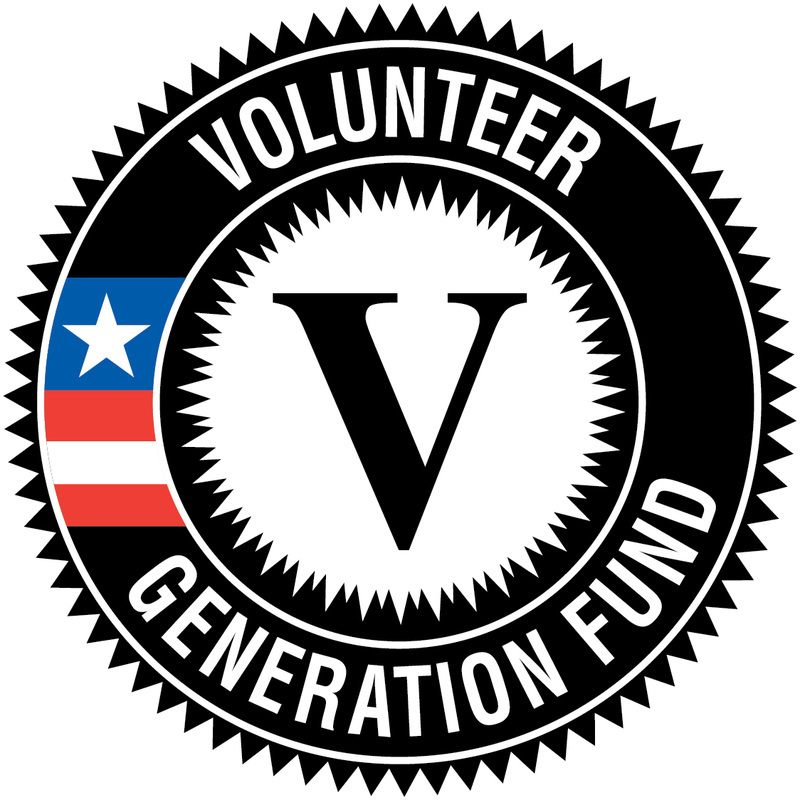 Congressman Dave Loebsack (IA) introduced the Volunteer Generation Fund (VGF) as an amendment to the bipartisan Edward M. Kennedy Serve America Act, which was signed into law on April 21, 2009, to build the capacity of state and local volunteer organizations to recruit, manage and train volunteers. ​In 2013, President Obama named the Volunteer Generation Fund in honor of President George H. W. Bush during a special ceremony awarding the 41st President with the 5,000th Daily Points of Light Award. Enable the people of the U.S. to effect change by participating in active volunteer and citizen service. The Arizona Governor's Commission on Service and Volunteerism proposes to expand their current Arizona Service Enterprise Initiative conducted in partnership with the Points Of Light by engaging community organizations to serve as Service Enterprise Initiative hub partners to deliver the Service Enterprise training and certification program and different geographic regions and/or issue areas in the State ofArizona. The Commission will partner with four community organizations to deliver the SEI training and certification program to approximately 70 local organizations. Since 2000, seven of the top ten most destructive fires in California's history have devastated the state, claiming fatalities and entire neighborhoods in their wake and leaving the state and residents grappling with rebuilding communities and lives. As the state lead in volunteer and donations management, CalVolunteers (CV) recognizes the important role local businesses, nonprofits, and volunteers play before, during, and after disasters. CV is requesting $197,235, which will be matched by $55,399 in match, for a total investment of $252,634 to launch a strategy that will effectively connect the knowledge and access of the public sector, the resources of the private sector, and the community-driven missions of the nonprofit/faith-based sector to better prepare for, respond to, and recover from disasters. After reviewing the after action reports (AARs) and the lessons learned from the recent disasters in California, CV proposes leveraging the Volunteer Generation Fund to build three distinct products that will help California better respond to disaster needs by: 1. Developing a CalVolunteers volunteer platform. California community members need to be able to access information about disasters and related volunteer opportunities through web vehicles as well as mobile friendly applications. 2. Creating the California Preparedness Network (CPN), a network of disaster trained corporate leaders that will educate local nonprofits and faith-based organizations in disaster preparedness and volunteer management, and 3. Building a group of well-prepared nonprofit/faith-based organizations who have continuity of operations plans (COOP) and a baseline understanding of their own operational bandwidth and can pre-identify volunteer opportunities when called to scale their operations. Serve Colorado and Spark the Change Colorado/ Metro Volunteers propose a two-pronged approach to expanding volunteer services in the state of Colorado. We propose: 1) an expansion of mental health services to low income individuals including children and seniors by engaging Pro Bono volunteers to southern Colorado, specifically in Pueblo and surrounding counties and northern metro counties specifically Broomfield; and 2) Spark the Change Colorado will conduct the capacity building Volunteer Management Training Series and provide an online connection tool to organizations in Southern and Rural Colorado. This grant will expand existing Pro Bono Mental Health Counseling programs in Pueblo county. The program coordinates services of pro bono licensed mental health professionals to provide free mental health services to low-income and poverty level individuals and families. In Pueblo, Spark the Change Colorado serves approximately 325 individuals per year through the volunteer efforts of 16 pro bono mental health counselors working at Host Sites and in Private Practice settings. This programming is powered by volunteer licensed mental health professionals and is slotted for expansion to more sites across Pueblo County, especially in middle schools. Our request will assist in implementing and expanding the Pro Bono program in counties surrounding Pueblo County. This includes engaging additional pro bono counselors for the professional volunteer network. Next, Spark the Change Colorado will expand their Volunteer Management Training series to expand the capacity of nonprofits to recruit and retain volunteers. The Volunteer Management Training Series (VMTS) consists of six modules created by the Points of Light Institute, and is designed to give a comprehensive understanding of the major components of a nonprofit Volunteer Management program. Spark the Change Colorado will also provide its online volunteer matching tool for nonprofits to recruit new volunteers. Serve DC -- The District of Columbia Commission for National & Community Service is applying to support the My Brother's Keeper DC- Strengthening Our Community volunteer generation initiative. This proposal targets organizations working directly with boys and young men of color. Serve DC, in partnership with a pro bono intermediary organization, will leverage the CNCS investment of $148,333 with $185,000 in match funds. Activities will include recruiting skills based volunteers to improve organizational capacity, providing culturally competent volunteer management training for staff and lead volunteers, and developing tools and resources to support the sustainability of volunteer generation programs targeting men of color in the Washington, DC area. This initiative will be supported with a citywide campaign to promote volunteerism and mentoring among men of color that will include a strong presence online, in social media, and print advertising. By the end of the grant year, Serve DC will have increased the number of volunteers, the number of volunteer hours and the capacity of organizations that serve young men and boys of color. Volunteer Florida will engage the Volunteer Generation Fund (VGF) to support 24 sub-grantees to generate 9600 skills-based volunteers and contribute 72,000 hours of service, with a focus on Disaster Services and the Opioid Crisis. Volunteer Florida will provide Disaster Response Management of Spontaneous Volunteers training to all sub-grantees with a disaster services focus, resulting in increased knowledge of management of volunteers in disaster. In addition, VGF will support increased capacity for volunteer management by providing one statewide training supporting 24 sub-grantee organizations to increase effective volunteer management practices. Sub-grantees will opt into one of the six CNCS Focus Areas. The CNCS investment of $495,443 will be matched with $495,443 supporting all CNCS focus areas. 1) The development of local volunteer infrastructure and resources, building the capacity of communities to create a culture of volunteerism.Through grants and specialized training, Volunteer Iowa will support Volunteer Centers and cities to: connect citizens with opportunities to serve, increase capacity of local organizations to engage volunteers in meaningful service, promote volunteering, and develop local programming that leverages volunteers to meet community needs, including disaster response. Additionally, Volunteer Iowa will provide funding and technical assistance building a network of local Service Enterprise hubs. Hubs will provide assessment, training, and coaching, empowering nonprofits to become Service Enterprises- organizations that fundamentally leverage volunteers and their skills as a core strategic function to achieve their social mission. 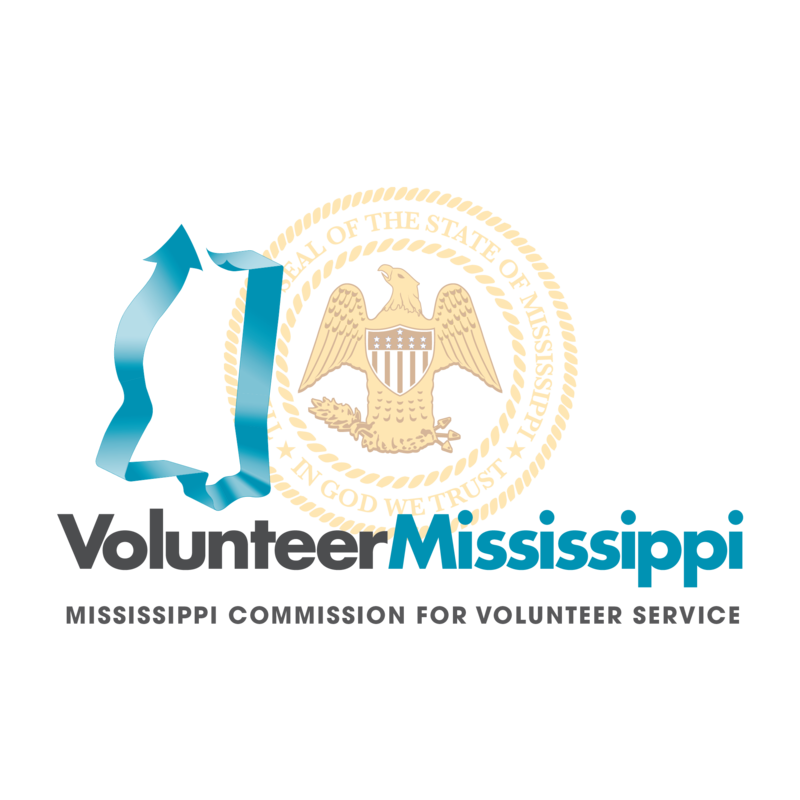 2) The development of statewide volunteerism resources, working directly with nonprofits, government organizations, and the public to leverage the power of volunteering. Volunteer Iowa will provide access to beginning and advanced level volunteer management training statewide through live webinars and trainings. Additionally, Volunteer Iowa will generate measurable improvements in the number of volunteers engaged from specific demographic groups through partnerships to develop senior volunteering initiatives, encourage skills-based volunteering, promote family volunteering, and provide High School-based volunteer program resources. Finally, through partnerships with State Emergency Management, State VOAD, and local communities, Volunteer Iowa will provide training on Volunteer Reception Centers, and encourage pre-registration of response volunteers. The Kansas Volunteer Commission (KVC) plans to utilize the Volunteer Generation Fund (VGF) grant to: 1) expand the capacity of volunteer organizations to recruit, manage, support and retain skilled or high-need volunteers, 2) expand volunteer connector organizations' infrastructure to increase volunteerism statewide, 3) expand the capacity of schools and districts to utilize volunteers to address educational issues. The KVC will accomplish these goals through three primary activities. First, the KVC will enhance and increase the capacity of volunteer organizations through the Service Enterprise Initiative (SEI) created by the Points of Lights Foundation. Second, the KVC will offer grants of $10,000 each to five volunteer connector organizations to expand their infrastructure to increase volunteerism statewide. Finally, the KVC will promote and deliver trainings on school-based volunteering to school and district staff. These goals can be found within the Kansas State Service Plan (SSP) and address CNCS focus areas of Capacity Building and Education (Kansas State Service Plan 2017 ' 2019). The mission of Serve Kentucky is to engage Kentuckians in volunteerism and service to positively affect our communities. In 2015, Kentucky ranked 36th in the US, with just 23.5% of its residents engaged in volunteering (CNCS, 2015). Serve Kentucky proposes the utilization of the Volunteer Generation Fund (VGF) support to implement a strong, consistent infrastructure for nonprofit organizations, volunteers, and national service participants. Employing a multi-faceted approach, Serve Kentucky seeks improvement and growth in volunteerism across Kentucky. More specifically, Serve Kentucky plans to cultivate partnerships with Kentucky Campus Compact, Kentucky Nonprofit Network, Kentucky Emergency Management and the Kentucky YMCA Youth Association to increase the capacity of nonprofits seeking solutions in the face of dwindling resources and increasing demand for services. Serve Kentucky will use VGF to strengthen the state commission infrastructure. Serve Kentucky has partnered with the Points of Light Foundation to participate in the Service Enterprise Initiative (SEI) and to receive SEI Hub certification. Serve Kentucky will work to engage partners and communities with the SEI model and characteristics. Serve Kentucky will establish our role in Kentucky with emergency management and Voluntary Organizations Active in Disaster (VOAD). Serve Kentucky will develop a disaster plan in coordination with the state’s Volunteer Agency Liaison that supports statewide preparedness for, response to and recovery from disasters. The plan will include the need to request and deploy national service resources in partnership with the state and local VOADs. Through research-based training provided by Serve Kentucky and its partners, organizations acquire the skills to more effectively engage, support, and retain volunteers. Created in 1994, Serve Kentucky fulfills three primary directives: 1) to serve as a conduit for federal funds that support AmeriCorps programs in the Commonwealth; 2) to assist in service program development; and 3) to encourage and recognize volunteerism across the state. Beyond hosting the annual Governor's Service Awards, our ability to support the third directive has been limited by funding constraints. The VGF provides Serve Kentucky the means to promote volunteerism, realizing an overall increase of involvement from Kentuckians. By extension, the proliferation of volunteerism in the state builds the capacity of the nonprofit sector and other organizations. Serve Kentucky requested $303,274 in CNCS funds to support the commission's efforts to increase the number of volunteers across the state, thereby increasing aggregate volunteer hours served and building capacity in the organizations impacted by their services. With the 2018 Volunteer Generation Fund (VGF) grant, the Volunteer Louisiana Commission will collaborate with Governor's Office on Homeland Security and Emergency Preparedness (GOHSEP) on a multi-phase initiative to address volunteer recruitment, retention, and management in three phases of the disaster cycle; preparedness, response, and recovery. Volunteer Louisiana will address disaster preparedness through a statewide media campaign targeting unaffiliated volunteers, the development of training and resource videos for volunteers, and the recruitment of Community Emergency Response Team (CERT) and Citizen Corps teams. Volunteer Louisiana will address disaster response by utilizing online volunteer management and social media tools to connect volunteers with volunteer opportunities. Volunteer Louisiana will address disaster recovery by recruiting and training government and corporate volunteer teams and establishing a sustainable pool of disaster volunteers statewide. Volunteer Louisiana will also provide volunteer management best practice training to non-profit and disaster focused organizations throughout the year. The Massachusetts Service Alliance will carry out a multi-part strategy to enhance volunteer engagement within Volunteer Connector Organizations (VCOs) and youth-serving agencies across Massachusetts. Research has shown that increasing the ratio of adults to youth in our neediest communities improves outcomes for young people. Coupling that with identified needs of our VCOs, has led to a focus on youth-serving organizations for this grant. We will engage in high impact partnerships, with the Massachusetts Department of Elementary and Secondary Education, Encore Boston Network, and VCOs, in order to deliver our services to organizations that will be most poised to increase their support to youth. In order to support a wide array of Massachusetts nonprofits in building their volunteer infrastructure, MSA will employ four strategies that will support organizations at different levels of need and capacity. In each year of the VGF grant, MSA will deliver: (1) deep and intensive training and certification to 17 organizations through delivery of the Service Enterprise Initiative; (2) focused in-person and online trainings providing similar best practices to a larger audience; (3) grants for National Days of Service to expand family, intergenerational, and youth-serving volunteer opportunities, and (4) capacity building grants to VCOs and youth-serving agencies to support, replicate, or expand promising youth-development programs through the engagement of volunteers. As a result of the VGF grant, 5,730 volunteers will serve a total of 27,550 hours, and at least 225 at-risk youth will benefit from these initiatives each year of the funding cycle. Seventeen organizations will participate in an intensive training and certification program, with an additional 150 unique staff and/or volunteers trained in volunteer management best practices or topics addressing youth development on an annual basis. With the Volunteer Generation Fund, the Maine Commission for Community Service (MCCS) will increase effective citizen engagement through volunteering that is skill-based and skill-building. To do this, MCCS will 1) support expanded local and regional volunteer efforts in three impact areas; 2) Develop high level volunteer management practices through expanded Service Enterprise and other Volunteer management training; and 3) launch a statewide public awareness campaign to promote increased volunteerism. At the end of the first program year, these activities will result in 12 organizations receiving high quality volunteer management capacity building (Service Enterprise). In addition, the funding will leverage 900 local community volunteers who will be engaged in improving seniors' abilities to age in place, increasing food security for disadvantaged individuals and providing needed transportation for those in need. This program will concentrate on the CNCS focus area of Capacity Building. The CNCS investment of $222,256 will be matched with $222,311, in public and private funding. The Michigan Community Service Commission (MCSC) is using the Volunteer Generation Fund (VGF) to strengthen the infrastructure and capacity of nonprofits, corporations, and state government to utilize best practices that lead to increasing the number of volunteers recruited and managed across the state in both rural and urban environments. The project will expand skills-based volunteerism through mentorship, coordination and employee engagement programs. These goals are in alignment with MCSC's State Service Plan and with the CNCS focus areas of Education and Capacity Building. The MCSC has received an investment of $319,183. MCSC is matching that investment with $320,056 to bring the total annual program budget to $639,239. The Michigan VGF grant will focus on two initiatives to meet the goals of expanding volunteerism throughout the state: 1. Increase the number of volunteers recruited, including skills-based volunteers, through employee and youth volunteer programs that share and utilize best practices and collaborate to meet community needs. 2. Strengthen the capacity and infrastructure of nonprofits by identifying resources and collaborating regionally to meet compelling needs and enhance the utilization of best practices in recruiting and managing volunteers. ServeMinnesota, in partnership with Minnesota Association for Volunteer Administration (MAVA) and HandsOn Twin Cities (HOTC), proposes to continue its successful Service Enterprise Initiative to Minnesota organizations, this time providing targeted outreach to organizations serving a culturally diverse client base. In addition, HOTC and MAVA will be creating a new delivery system for the Service Enterprise Initiative (SEI), expanding its reach to rural areas of Minnesota. This new delivery system will include transforming the current curriculum into a web-based training, while retaining the experiential nature of the current curriculum. It also maintains the cohort model (made up of 3-7 organizations), which includes training organizations together in order to network and glean best practices from each other. This research-based practice expands volunteerism and will support the engagement of 500 skill-based volunteers annually who will contribute 4,000 hours of service to increase organizational effectiveness. In year four, 120 organizations will be trained; increasing their capacity to recruit, connect and retain 39,500 volunteers who will contribute 316,000 service hours. Combining community and skills-based volunteer efforts, this project will result in an estimated value of nearly $7.7 million over three years. Mississippi nonprofits tackle a myriad of serious social and economic problems that face our rural state, as well as those arising from weather-related disasters. They need access to the people and resources that build their capacity to shape stronger, more disaster-resilient communities. Currently, there is not one organization that offers volunteer recruitment and engagement, networking for potential funders and nonprofits, and training and technical support as a comprehensive package, and, in many regions, only one or none of the services is offered. Through established partnerships with the Mississippi Center for Nonprofits (MCN) and the Mississippi Association of Grantmakers (MAG), the Mississippi Commission for Volunteer Service (Volunteer Mississippi) proposes to provide regionally accessible, comprehensive capacity building services to nonprofits as well as disaster-resiliency programming to communities through strategically placed Volunteer & Nonprofit Resource Hubs (Hubs). Hubs will provide volunteer connection and nonprofit resource center services, give nonprofits access to potential funders and funding resources, and provide Volunteer Response Center (VRC) training and disaster support; from locations accessible to outlying rural areas. To increase volunteer connection efficiencies, Hubs will network with and support existing volunteer centers, college/university volunteer programs, employee volunteer programs, and other volunteer connector organizations within their regions. Up to 5 Hubs will be created in the first year that will generate 10,400 total on-going and episodic volunteers serving 67,600 hours, which include 400 skill-based volunteers serving 2,600 hours; provide VRC training to 100 volunteers and provide response/recovery support in the aftermath of a disaster; and provide capacity building services to 400 nonprofits, with 25 organizations implementing 3 effective volunteer management practices. Volunteer NH (VNH) proposes to use Volunteer Generation Fund (VGF) dollars to conduct a multi approach statewide campaign to increase volunteer engagement, expand volunteer opportunities and build the capacity of nonprofits to work with volunteers and achieve high impact results (a special emphasis will be on skilled volunteers). VNH will hire a Volunteer Generation Program Officer who will work with partners, WMUR, iHeart Radio, and Google to conduct a statewide, Call to Volunteer campaign. Working with partner Granite United Way, we will conduct directed outreach to increase the number of registered users on our Get Connected online volunteer database. This will include meeting with organizations to assist with implementation of Get Connected to recruit volunteers and volunteer users. VNH will also work with the NH Center for Nonprofits (the Center) and the JFFixler Group (JFFixler) to implement the High Impact Volunteer Engagement (HIVE) Project. The HIVE Project will engage 15 nonprofit organizations in training, technical assistance, and coaching related to volunteer management practices to utilize skill-based volunteers. The HIVE Project will support a train-the-trainer model to increase the capacity of the participating programs, the Center, and VNH in the coming years. The New Jersey Commission on National and Community Service (NJ Commission) is requesting $283,333 in Volunteer Generation Funding (VGF) to strengthen the state's ability to engage more citizens in meaningful volunteer service and build volunteer management capacity in non-profit organizations. Our program design addresses all three aspects of the purpose of the VGF: (1) support community-based entities that recruit, manage, and support volunteers; (2) deploy skilled-based volunteers to strengthen the capacity of education-related nonprofits to effectively solve problems; and (3) expand the capacity of New Jersey's volunteer connector organizations to recruit, manage, support, and retain individuals in high quality volunteer assignments, particularly youth volunteers. The State Commission will also develop a media strategy, "Jersey Strong:I Am a Volunteer", to drive more potential volunteers to the Volunteer NJ! portal matching them with quality service through non-profit partners. Through this initiative, the state will raise its ranking in the "Volunteering in America" survey from its current 46th position to 40th at the end of three years; college volunteerism, currently ranked 50th will rise in ranking to 44th. The NJ Commission proposal includes five eligible organizations to be the pilot group for our VGF program: the United Way of Northern NJ (covering a 5-county region); NJ Campus Compact (including 10 colleges in 7 urban regions); the Volunteer Center of South Jersey (covering a 7-county region); the New Start Career Network (statewide);and the Volunteer Center of Burlington County (covering the largest county of NJ). A $283,333 investment by CNCS in NJ will support the recruitment of 5,000 unique volunteers and over 150,000 hours of direct service each year. The new volunteers and new volunteer management infrastructure will support delivery of additional and sustainable direct services throughout the state. New York State has the third largest economy in the U.S. but has more income inequality than any other state. Nearly 3 million people in New York struggle with hunger and food insecurity, more than 20% of children in New York don't know where they'll get their next meal. During last year's Volunteer Generation Fund (VGF) cycle, 8,764 New Yorkers volunteered their time to preparing and distributing meals to hungry families. In 2017, the New York State Commission on National and Community Service (the Commission) is ready to direct these volunteer efforts towards eliminating the root causes of hunger. The Commission is proud to continue the spirit of volunteerism that started with a VGF grant in 2010. Over the past seven years, the Commission has built regional volunteer centers to broaden the reach of New York's most generous residents, deployed thousands of volunteers to help families who were impacted by Hurricane Sandy, and generated thousands of new volunteers to combat poverty throughout the state. This year, the Commission is excited to build on these successes to address an urgent issue in our state: ending hunger and food insecurity. The 2017 VGF program is designed to engage volunteers in our mission to make nutritious food available to all New Yorkers, and to address the root causes of hunger. The Commission will accept proposals from interested nonprofits that aim to alleviate short- and long-term hunger. Successful applicants will act as flagship organizations that recruit, train, place and/or manage volunteers within their own organizations and in partner organizations in their communities. Emphasis will be placed on engaging skilled volunteers who can work to alleviate the root causes of hunger. Applicants must identify how they will build capacity within organizations to more effectively utilize volunteers to address these issues, and make a demonstrable impact related to hunger in NYS. ServeOhio is requesting $157,592 to expand volunteering in Ohio by strengthening the capacity of nonprofit organizations to recruit, manage, support, and retain skills-based volunteers. To achieve this, ServeOhio will develop and implement a Skills-Based Volunteerism Training Program which will equip 10 Ohio nonprofits per year with intensive training and ongoing support to effectively engage skills-based volunteers in highly-defined projects to increase organizational capacity. Selected nonprofits will 1) attend an intensive 2-day SBV Boot Camp; 2) identify, develop, and manage at least one skills-based volunteer project by the end of year 1; 3) participate in monthly coaching calls; 4) participate in quarterly cohort webinars; and 5) attend an in-person Skills-Based Volunteerism workshop at the Ohio Conference on Service & Volunteerism. At the end of the program year, 10 Ohio nonprofits will develop one high-impact skills-based volunteerism project each, which will engage a total of 60 skills-based volunteers in 2,880 hours of service. Additionally, ServeOhio will administer 40 grants to grassroots and community nonprofit organizations to support volunteer projects organized for MLK Day, Global Youth Service Day, ServeOhio Day, and Make a Difference Day. At the end of the program year, the national days of service projects will engage a total of 2,600 volunteers in 7,480 hours of service. The United Way Association of South Carolina, serving as the alternative administrative entity for the state's Commission on National and Community Service, proposes to implement the South Carolina Volunteer Generation Fund (SC-VGF). This initiative will use evidence-informed principles to increase both overall volunteer engagement throughout the state, as well as enhance the ability of key stakeholders to utilize the talents of skilled-based volunteers to support the services provided by the nonprofit sector. The volunteers engaged as a result of this initiative will serve to support all six CNCS Focus Areas, which include disaster services, economic opportunity, education, environmental stewardship, healthy futures, and veterans and military families. Overarching project goals for the FY 2018-2019 SC-VGF program include the following: 1) Provide partner agencies with the necessary financial resources needed to support the implementation of evidence-based strategies that will increase volunteer engagement; 2) Facilitate renewed collaboration and engagement between organizations, agencies, and corporations active in volunteer engagement across the state; and 3) Provide increased technical assistance regarding corporate and skill-based volunteer engagement. Through the activities listed above, SC-VGF will increase the capacity of 180 organizations, which will enable them to manage a total of 9,080 general and skill-based volunteers who will serve at least 36,320 hours towards working to meet the state's most pressing needs. The CNCS investment of $255,956 will be matched at an equal rate by private resources that will also be used to support the project. The Tennessee Volunteer Generation Fund Coalition (Hands On Nashville, United Way of Greater Chattanooga, United Way of Williamson County, Volunteer East Tennessee, Volunteer Memphis, and Volunteer Tennessee) will increase volunteer recruitment and expand the use of volunteers to increase educational attainment for Tennessee's youth, improve economic outcomes for individuals, and better prepare communities for disasters. 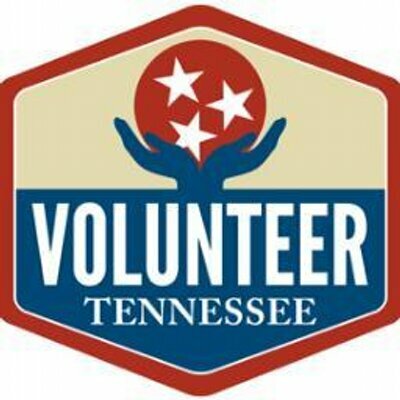 Using high-quality volunteer recruitment, training and management practices, the Tennessee Volunteer Generation Fund Coalition will engage 525 volunteers to address education issues, 750 volunteers to address disaster services issues and 420 volunteers to address economic opportunity issues. The Coalition will provide capacity building services to 60 organizations across Tennessee. Serve Washington, the state commission on national and community services, (ServeWA) was created through executive order in 1994 under the vision that national service, volunteerism, and civic engagement are the foundation for caring communities and a thriving Washington. ServeWA intends to use the Volunteer Generation Fund (VGF) to build upon the successful long-term partnerships with 501 Commons, and the Volunteer Centers of Washington (VCW) network to support high quality volunteer opportunities for all Washingtonians. Specifically, ServeWA will utilize VGF resources to 1) expand the capacity of volunteer organizations to recruit, manage, support and retain skilled or high-need volunteers, 2) expand volunteer connector organizations' infrastructure to increase volunteerism statewide, and 3) develop statewide resources, working directly with volunteer centers, nonprofits, government organizations and the public. ServeWyoming's mission is to improve lives and strengthen Wyoming communities through volunteerism. To accomplish this mission, ServeWyoming established a single resource and central clearinghouse for helping communities and individual organizations with volunteer support-related services, called Volunteer Wyoming. The goal of Volunteer Wyoming is to increase the number and effectiveness of volunteers in Wyoming and to support nonprofits with volunteer recruitment and management. Through a mutual partnership with Wyoming community colleges and nonprofits, ServeWyoming is re-launching the Professional Volunteer Network (PVN) Initiative. PVN is designed to lead, mobilize and engage Wyoming volunteers and degree-seeking community college students to give their time, professional expertise and applied learning to nonprofits in need of volunteer management and capacity building support, in the form of short-term, training-focused projects known as Service Grants. To re-build the PVN Initiative, ServeWyoming will leverage the education and expertise of community college students participating in service learning curriculum, pair them with a professional volunteer who will mentor them through a short-term project with a local nonprofit in need of capacity building support. By partnering with Wyoming community colleges that support service learning curriculum, students are offered the opportunity to give back in a truly meaningful way that utilizes their skills and education in a real-world setting, while nonprofits stand to receive volunteer management and capacity building assistance from skilled professionals that they would otherwise be unable to afford.